Since 1977, VICIVISION has specialised in creating world-leading optical, non-contact shaft measuring machines and quality control systems for improving production efficiency. After 40 years, it is still a fairly new technology in a marketplace where, traditionally, manufacturers have required multiple specific instruments – such as co-ordinate measuring machines or handheld gauges – to sufficiently inspect their turned parts. Steadily and surely, however, the secret is getting out. VICIVISION’s superior high-resolution video camera technology carries out a number of precision checks on a single set-up, meaning even the most intricate parts can be inspected quickly and easily on the factory floor, with superior accuracy. Achieving smarter and more reliable processes, delivered with speed and efficiency regardless of the complexity of a part, means reduced rejection rates, minimal rework and therefore immediate time and money savings. More and more companies are choosing to invest in automatic production control. The technology behind optical machines detects measurements on the external profile of the part, performing an automatic scan through a combination of intuitive software functions and cutting-edge hardware features. Customers need to replace tools such as profile projectors or manual instruments with dynamic systems; optical machines carry out all the measurements with a single instrument. Even the most complex parts can be measured in seconds, down to the last detail. Customers are no longer tied to the metrology lab: VICIVISION optical machines are specifically designed to withstand the typical conditions of a shop-floor environment. Some businesses purchase a measuring machine and use it to serve multiple machine tools. In addition, each optical machine is used by more than one operator, meaning an immediate reduction in queues and down time. Operators don’t have to leave the shop floor to verify the quality of the part. No more relocating, greater flexibility and a reduction in waste parts and inefficiencies all translate into an extraordinary return on investment. Optical measuring machines offer the precision required in even the most specific sectors: aerospace, automotive and medical. These sectors are characterised by the production of complex parts, where compromises on form, function and safety cannot be made. 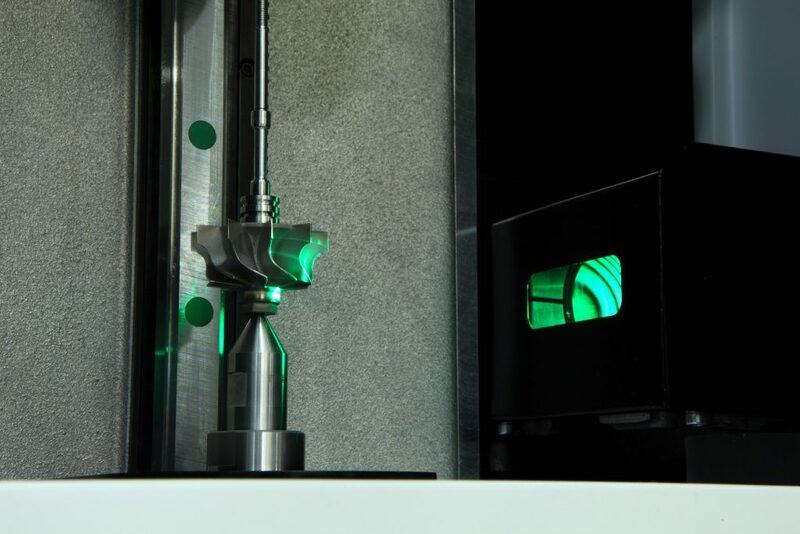 Automotive components, camshafts, transmission shafts, dental implants and medical screws – whatever the turned part, using an optical machine next to the CNC lathe or grinding centre really makes the difference. A growing number of customers are requesting highly efficient quality control instruments in order to comply with increasingly stringent tolerance requirements. The use of high-resolution images in optical measuring enables the measurement of complex characteristics, offering excellent accuracy and allowing manufacturers to achieve exceptionally good performance, even when tolerances are extremely tight. After setting the program, the measurement cycle can be performed at the touch of a button. The operator doesn’t have to intervene during the process. This guarantees objective and repeatable results, unaffected by human error. Optical machines installed on the shop floor offer manufacturers certainty in the production process when it comes to providing quality components. The increase in production capacity allows companies to accept more orders, confident they’ll be able to satisfy customer demand by delivering right first time, on time, each and every time.